A great part of Rev. Dennis McCarty’s life has been dedicated to the beauty and subtlety of the English language. He has written well-reviewed novels and nonfiction books; plays; essays; magazine articles–and is a dedicated lyricist and songwriter. Over the years he has been a sailor, an electrician doing heavy construction, a teacher, a nationally published novelist—and of course, a minister. 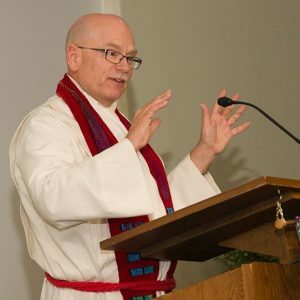 He served the Unitarian Universalist Congregation of Columbus, Indiana, for 12 years. In June, 2015, he retired to become Minister Emeritus. But retiring from active parish ministry is just one more career change. He is still an active pulpit supply preacher, writer, songwriter, and newspaper columnist. He also remains active in the Unitarian Universalist Ministers Association. These pages feature his musings on a wide range of topics, as well as links to songs, sermons, drama, and other expressions.